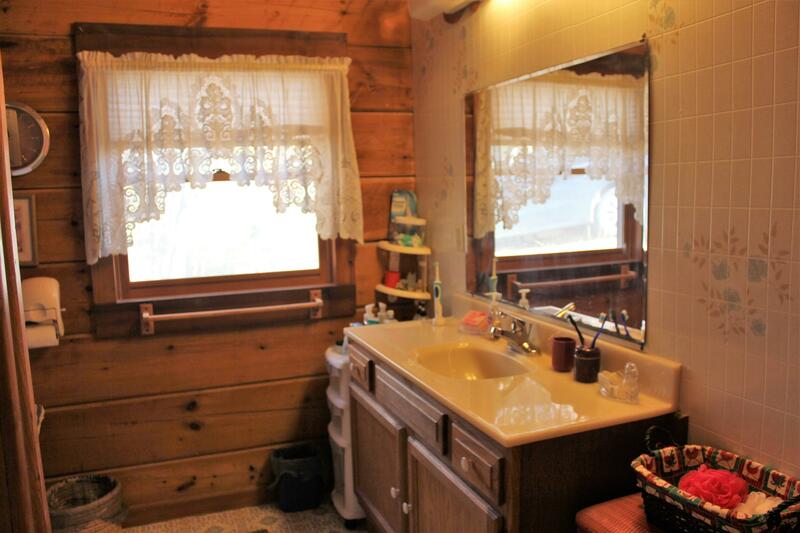 Enjoy all the seasons in this handcrafted log cabin! 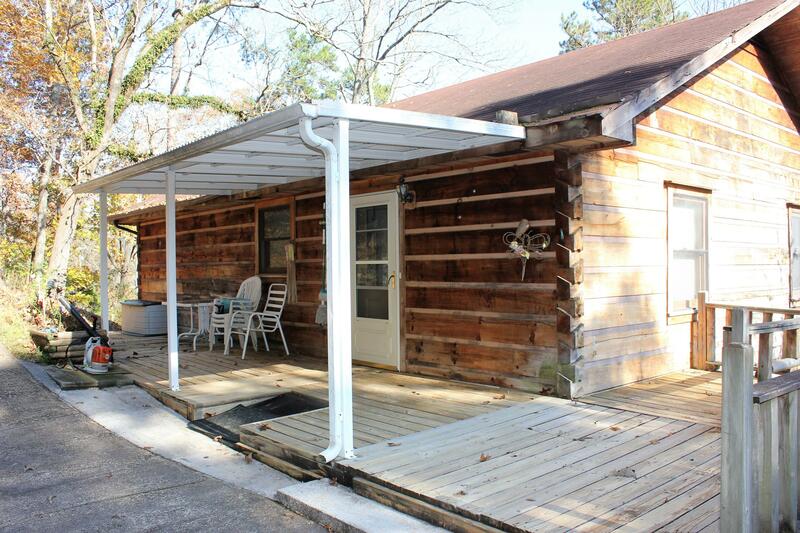 Nestled high In the woods, this one bedroom, one bath, open floor plan, has a beautiful full length porch with relaxation built right in! 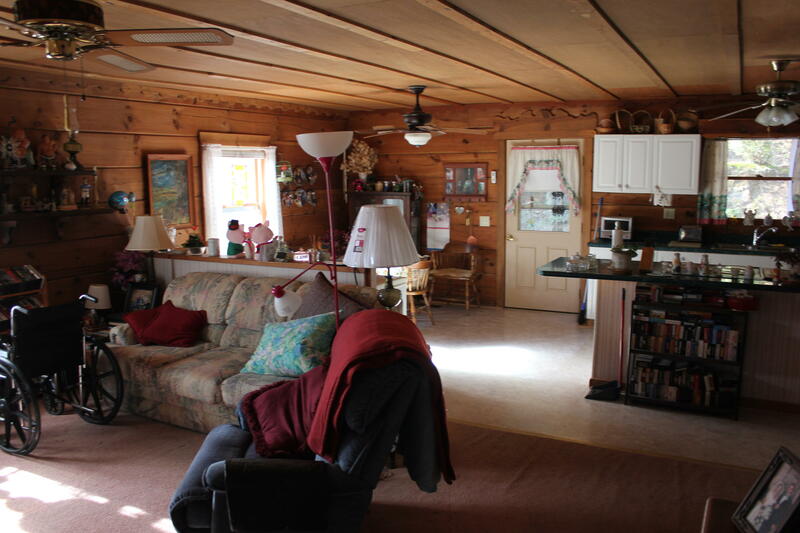 Beautiful pine beams are 8'' thick with large windows offering plenty of natural light. 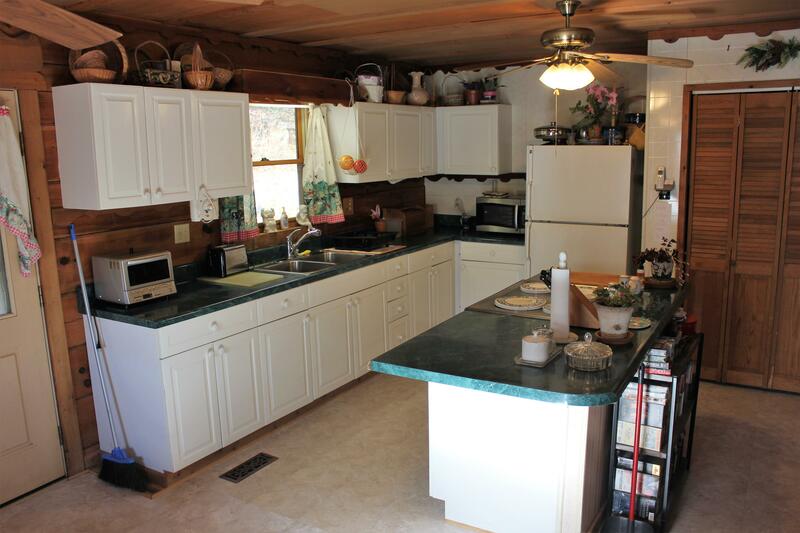 The open floor plan incorporates the kitchen, dining, and living areas. 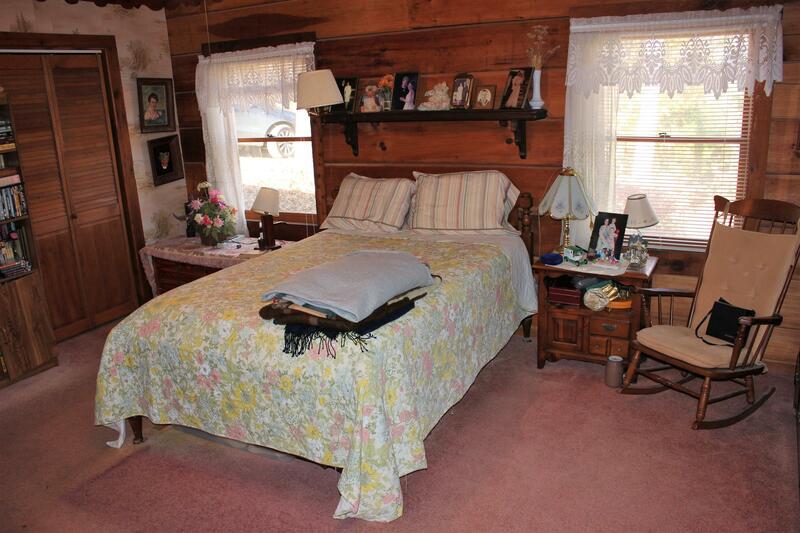 The large master bedroom will accommodate a king size bed and furniture. 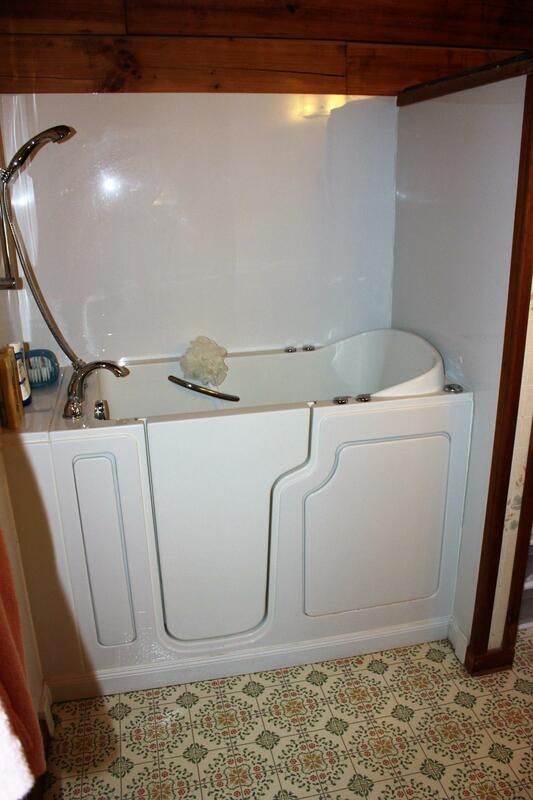 The en suite master bath has a Safe Step walk-in tub/shower. 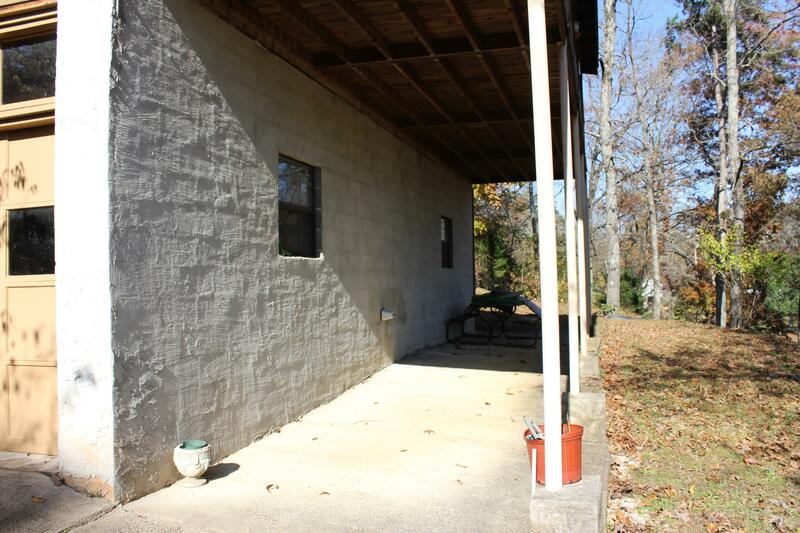 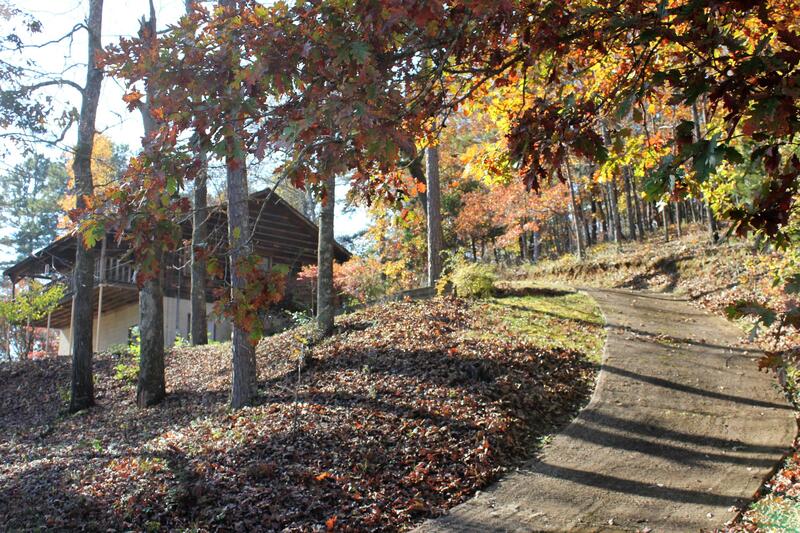 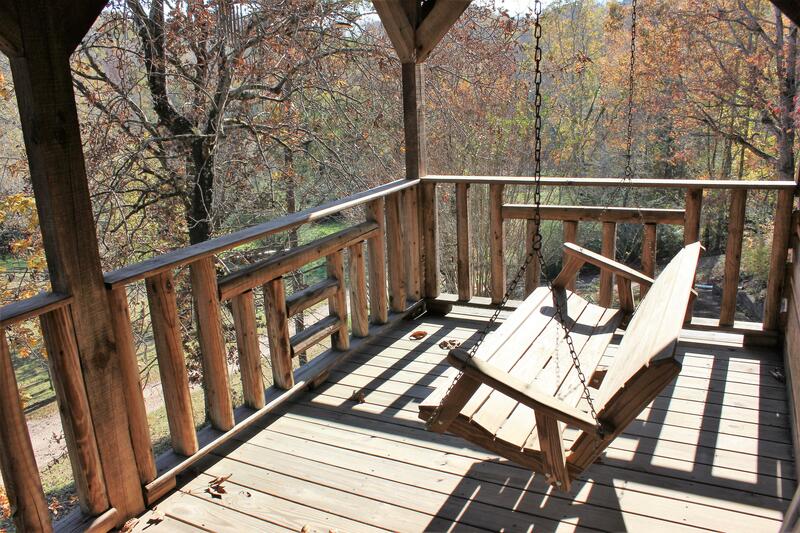 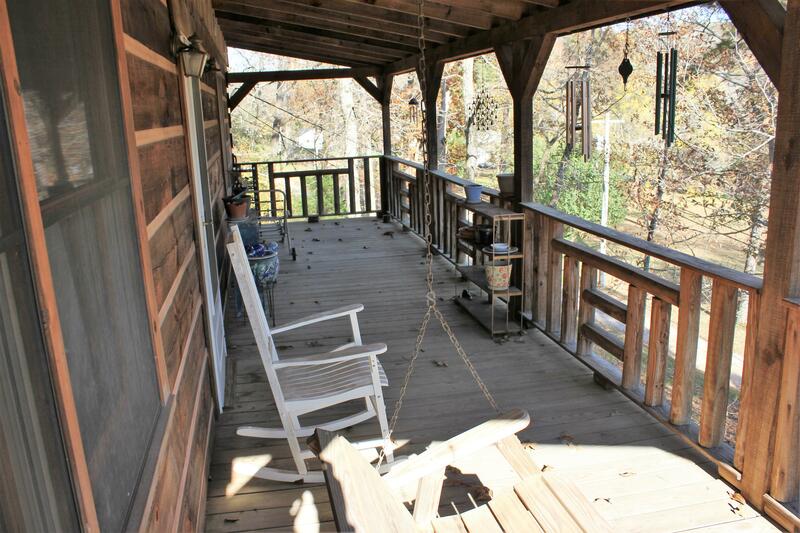 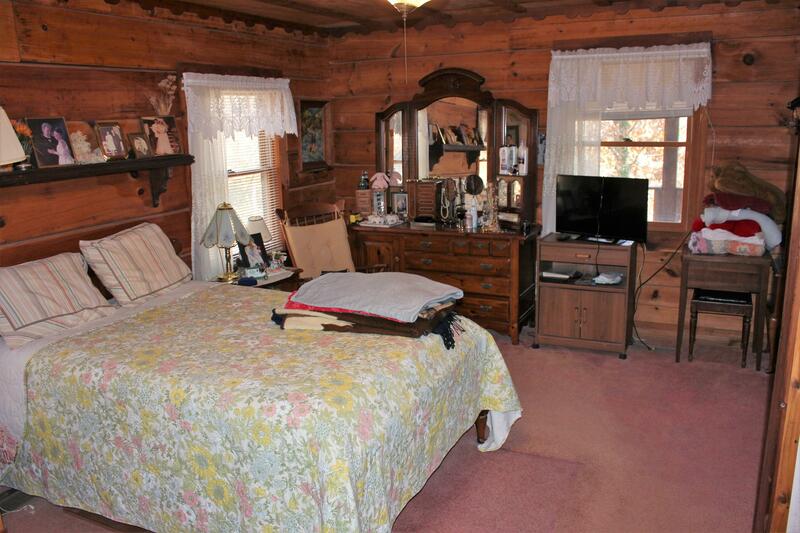 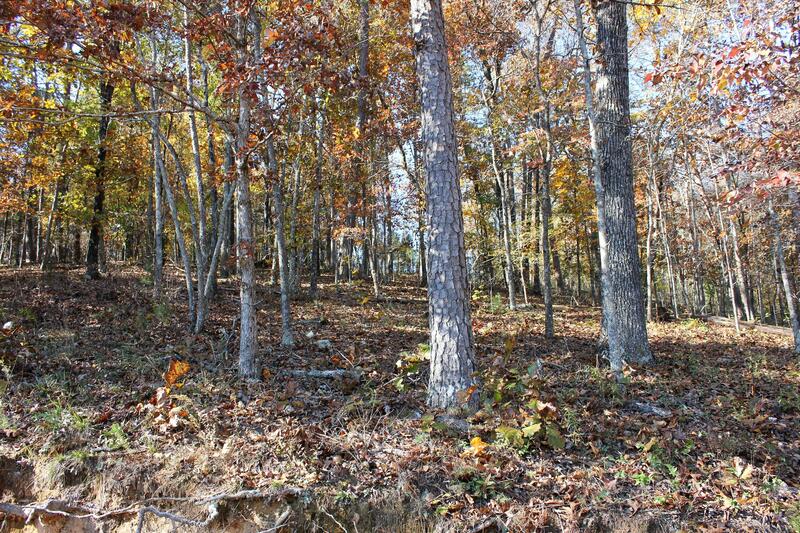 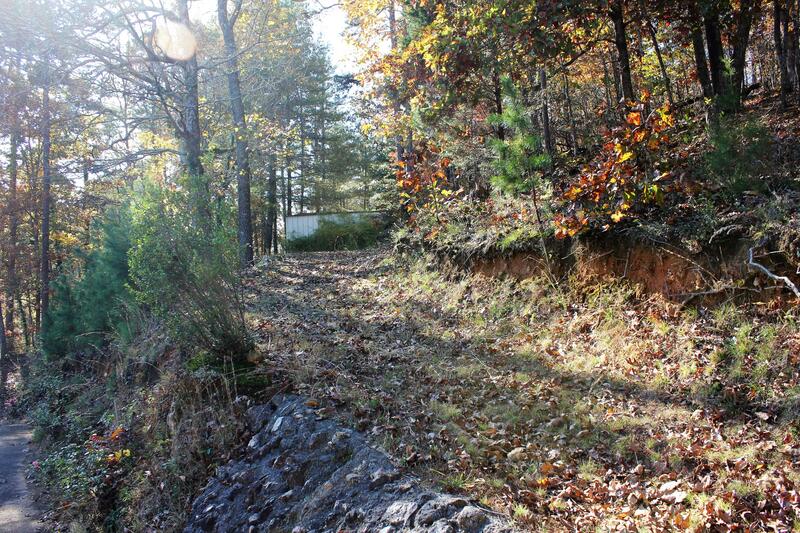 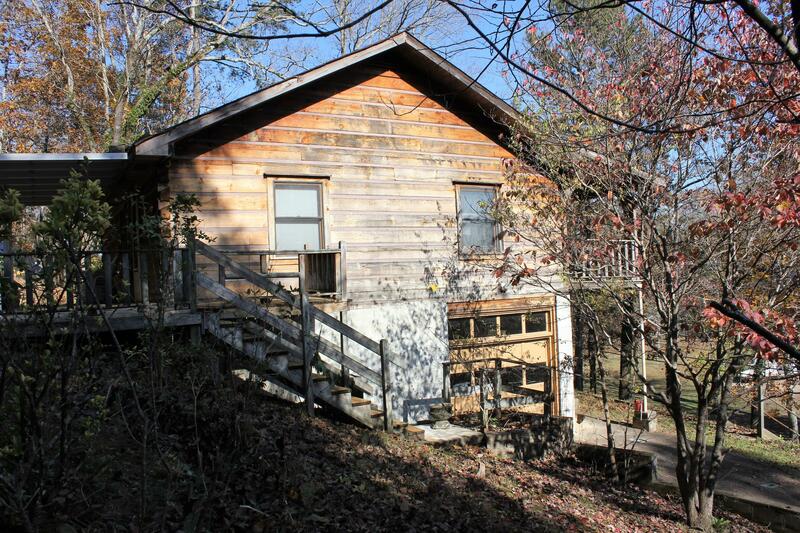 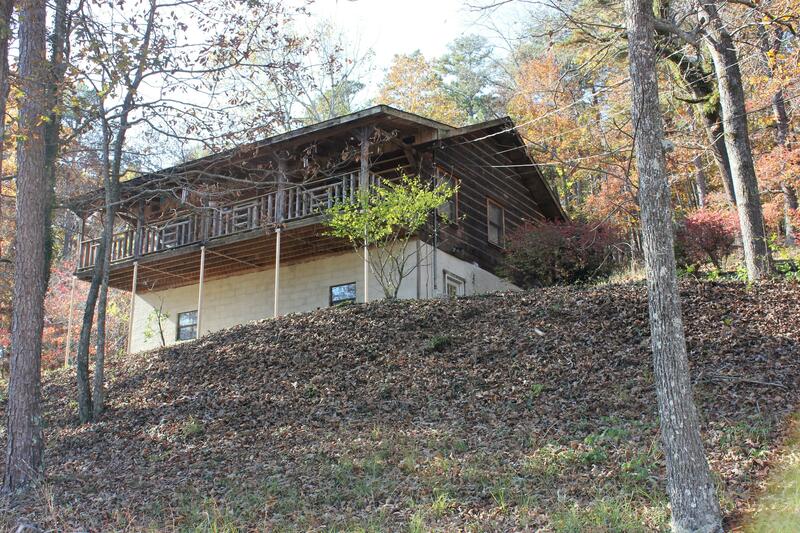 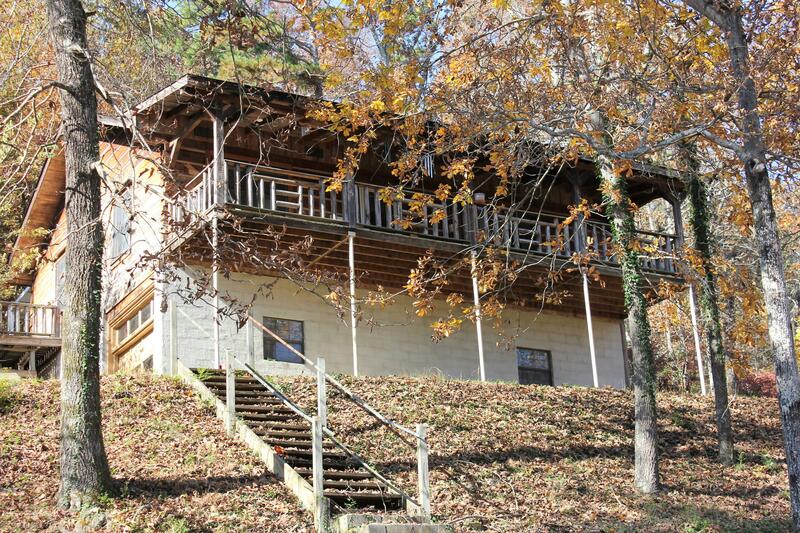 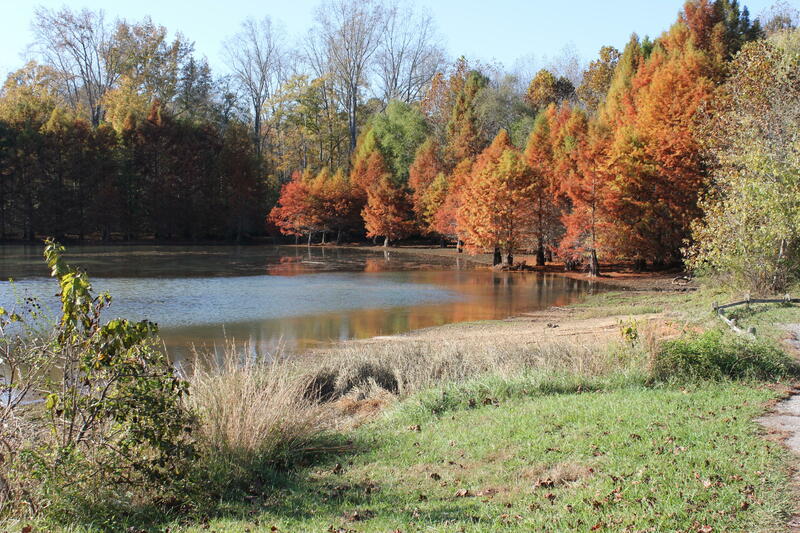 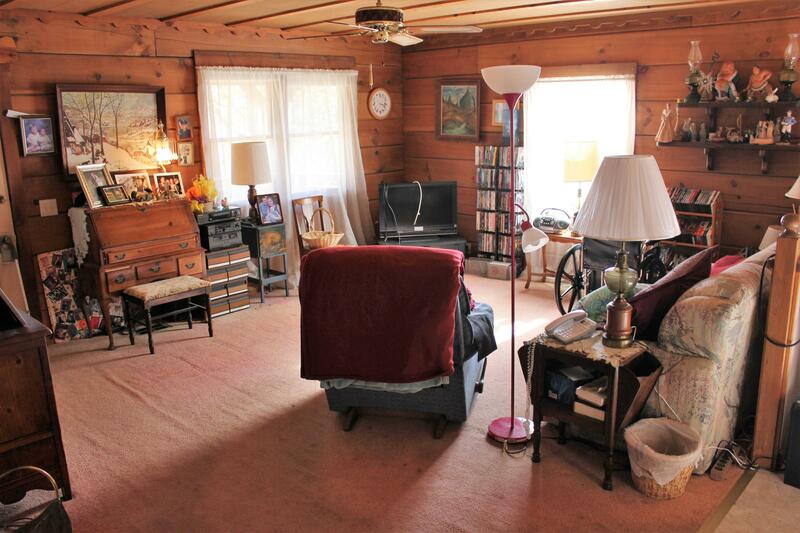 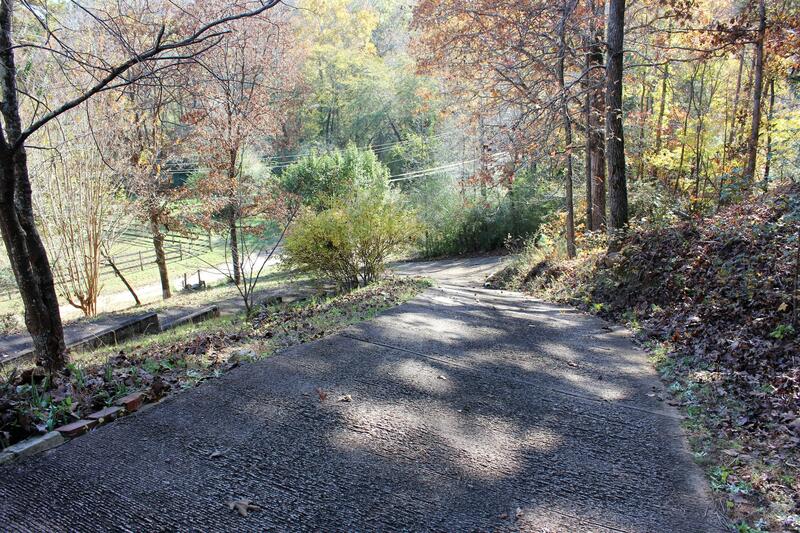 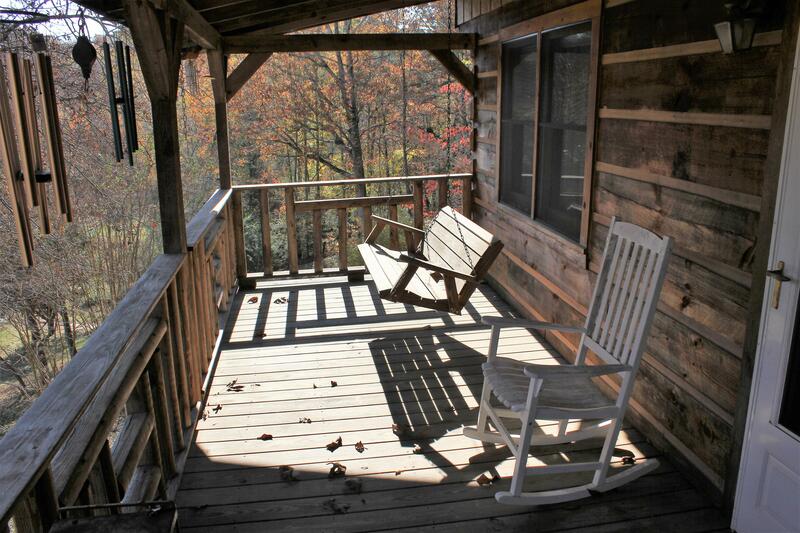 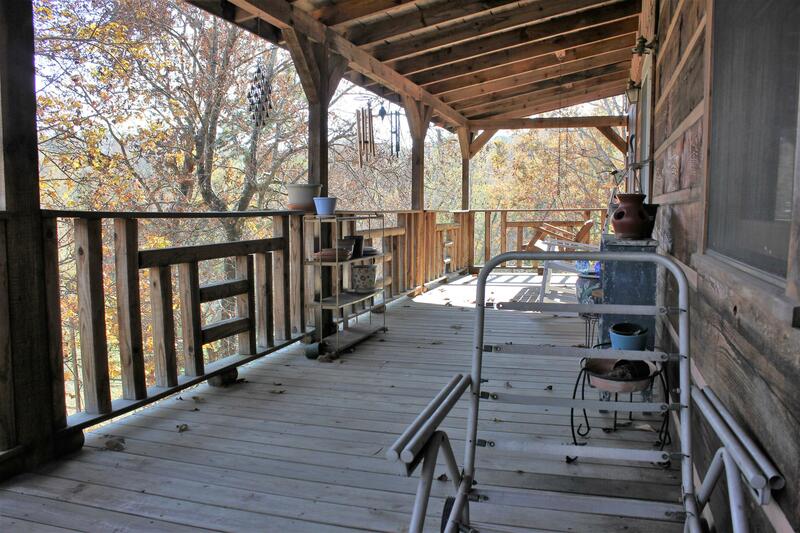 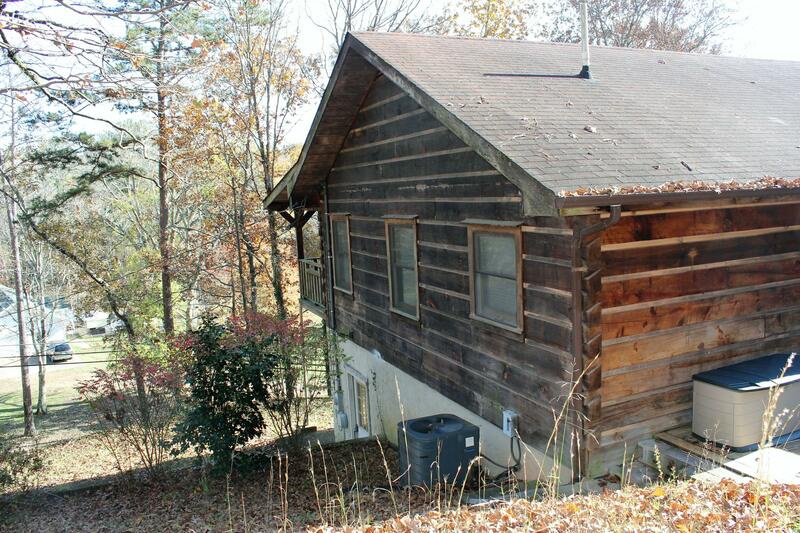 The cabin is surrounded by 6.6 acres of wooded privacy. 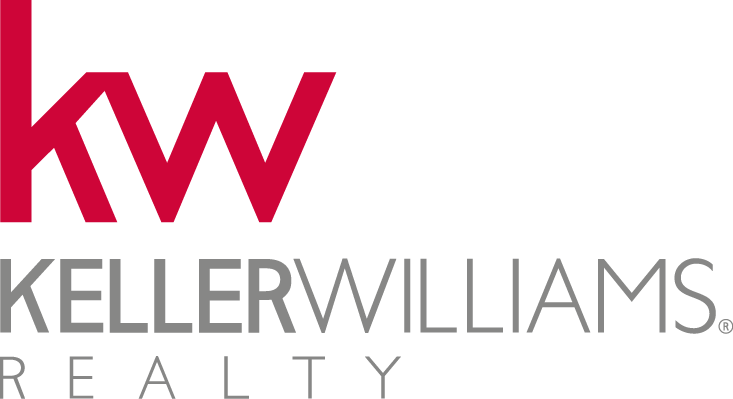 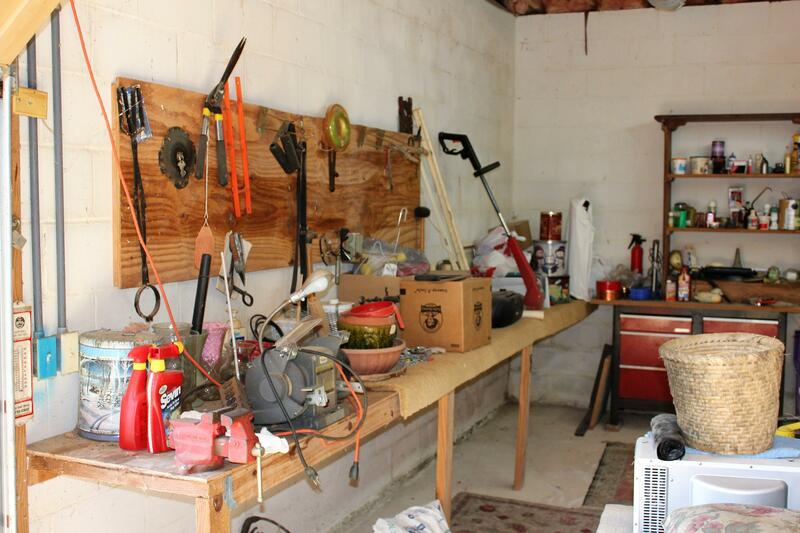 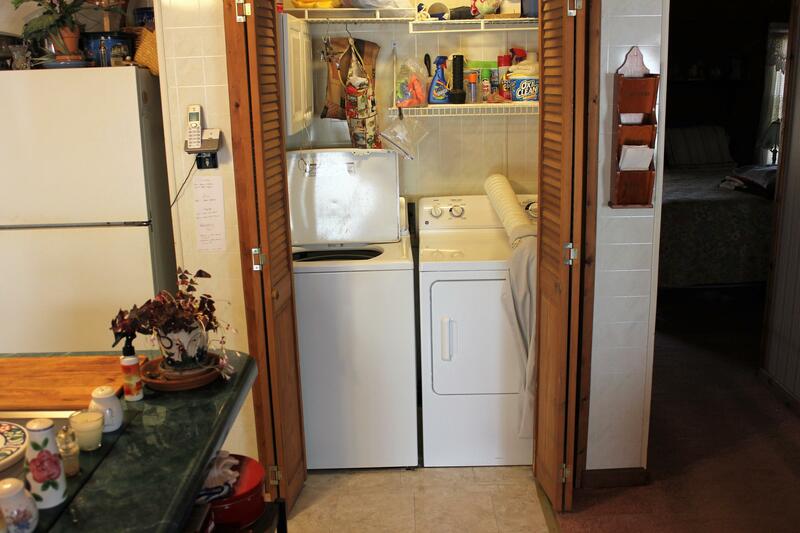 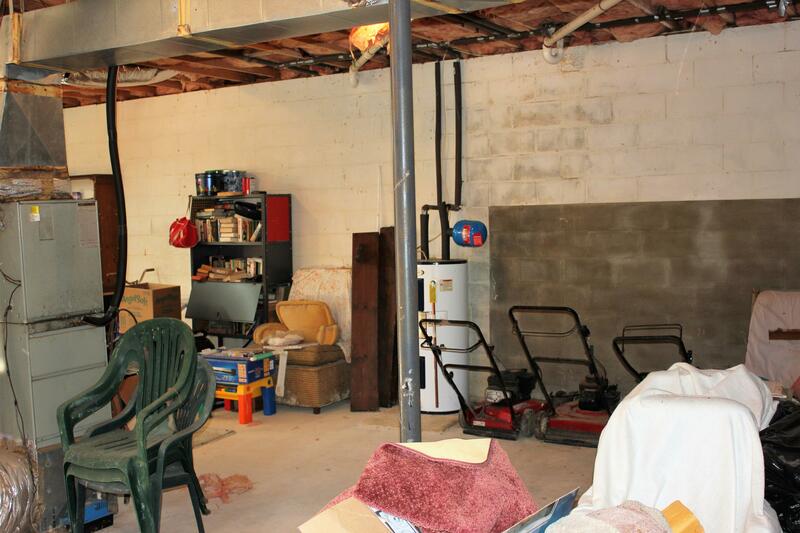 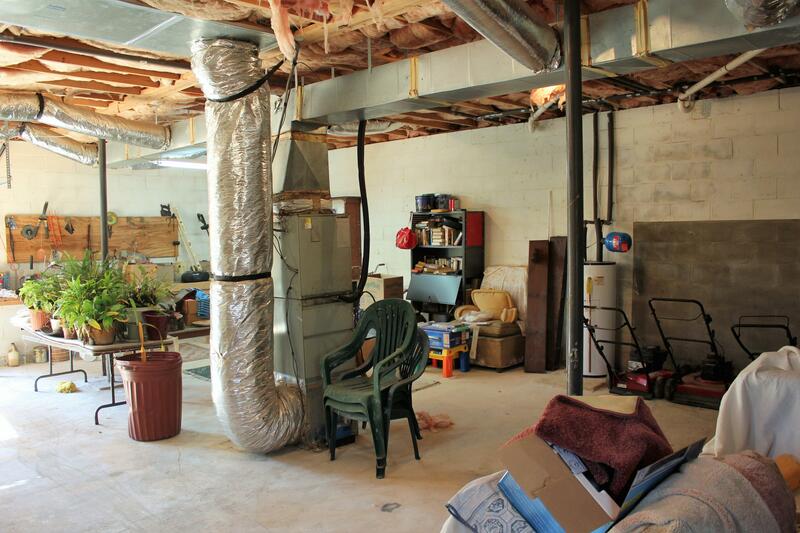 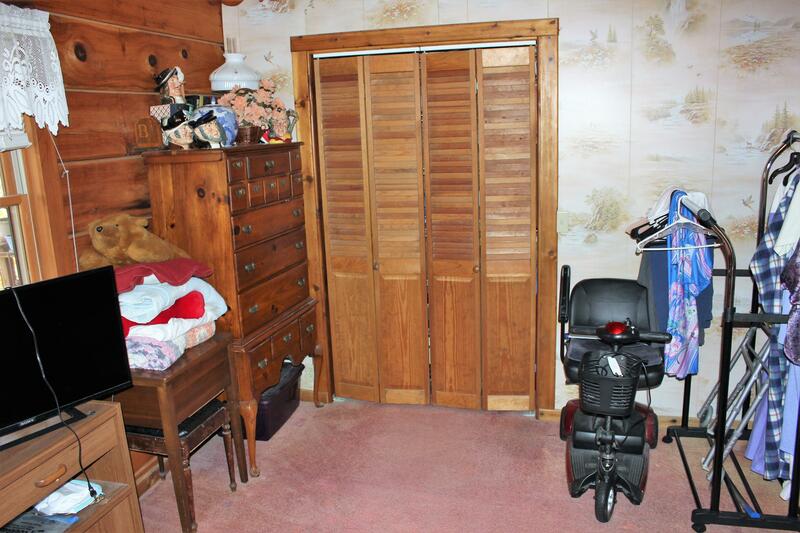 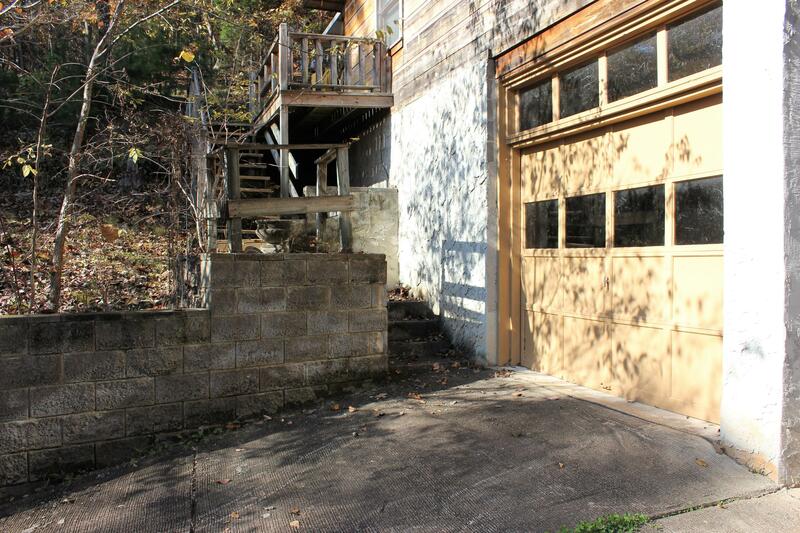 A large garage door allows easy access to the basement. 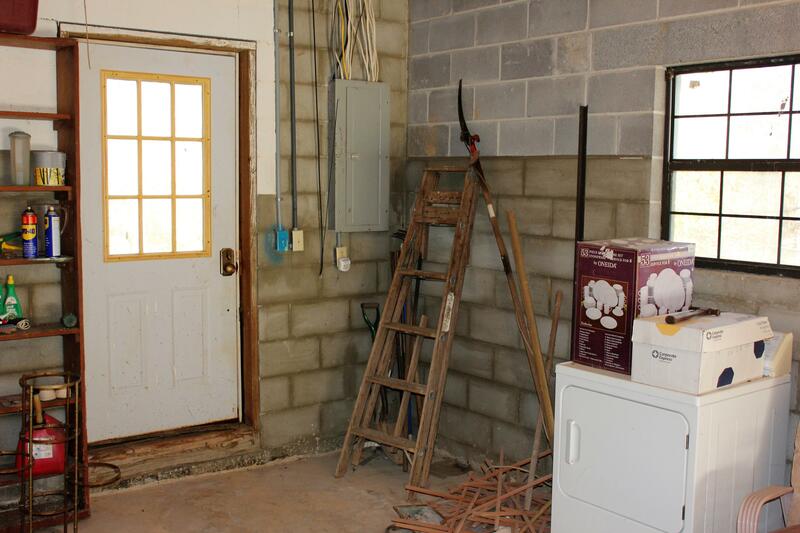 The basement has 10' high ceiling, which allows plenty of storage room for bikes, kayaks, fishing, hunting, and camping gear.